I suggest you read this entry with the extended version of Dance with the Night Wind. After the heartbreak with Silent Hills cancellation and hurdling through all Kojima = Silent Hill nonsense, while I was minding my business and skimming through Silent Hill subreddit, I came across Shaun Jooste’s post. So little I was hopeful for some new Silent Hill related media, especially after outburst of P.T. clones, for something original. Something contained within its own Silent Hill universe. And there it was. A book was being written! Now, I’ve read the official Silent Hill 2 novel started to translate it to Turkish, I really didn’t want to have a book ‘straight from game’. This one, on the other hand, is taking on a completely new story. Trevor wakes up from another nightmare of Silent Hill just before getting a call that the police are after him following the apparent suicide of his wife, Caroline. He barely escapes with his lover Kathy and best friend Jay Nixon, the police force hot on their tail on the dark highway. During the pursuit, a mist covers the road and a strange man with a metallic object on his head causes them to crash on the outskirts of Silent Hill. When Trevor awakens, he finds himself alone at the scene of the accident with no knowledge of where the others are. His search for them not only reveals that the town is haunted with terrifying creatures, but is also tainted with clues of Caroline’s presence. As his struggle through the misty town leads him closer to Kathy’s whereabouts, Trevor learns the truth of Caroline’s death and the link to her brother’s murder. And with this knowledge, he discovers that everyone that had a part to play in her misery has been brought together to Silent Hill to account for their sins. Of course, there was a huge mixed reaction from the community. I had to fight through a baseless hate against Homecoming back then, and I could see the same happening. Especially legitimacy of the novel was a topic of discussion, and some fans decided to see this novel as a fan project. Though it is not an official Konami project, it’s not some random fan project either. If you want, you can read Mr. Jooste’s own explanation on the topic. Being the author of epic fantasy series The Celenic Earth Chronicles, also the screenwriter of newly announced tv series The CopyCat Effect; Mr. Jooste has quite the experience and portfolio. I’m an author myself, and though I was jealous at first, I also remembered that I love to read. Being in a curious mood, I spoke with Mr. Jooste and to my luck, he was a wonderful guy. He also accepted doing an interview, and I started my process of gathering questions from Silent Hill communities. Mind that I was the founder of Silent Hill Türkiye, and it was one of the most notable Silent Hill communities back then. Had to kill it. Some things are not meant to leave the town. Enough talking, back to interview! Almost all Silent Hill fans wanted to make something with Silent Hill, but everyone has their own ‘why’. I’ve loved Silent Hill from the inception. I’ve never discriminated against any of the game stories or new directions the game took. Everything about the series: the scare, the puzzles, the clues, the guilt, the psychological thrill… they have all inspired me towards writing my own Silent Hill novel. Which Silent Hill game (or media) incepted the idea of your very own Silent Hill story? It was Silent Hill 4 that started it all, further encouraged by Homecoming and Downpour. From playing SH4 too much, I had a dream that was almost like the essence of Silent Hill. That dream became the basis for my future horror series, ‘The Damned Souls Saga’. However, I’ve been toying with the idea of a SH novel ever since. Almost every Silent Hill game had their own version of the town. Which version would you consider Betrayal will be similar to? Decaying? Frozen? Bloody? I would have to say a combination of rusted decay and bloody at the same time, while adding to it the element of fire. Almost all scenes with Otherworld has fire as the main element. There is only one scene near the end that has a minute Frozen element to it, but decay, blood and fire are the predominant themes I focus on. There is a controversy about The Order. For example, Devin Shatsky was not very fond of The Order and didn’t included it in Silent Hill: Downpour. What’s your opinion of this cult? Will we see any sign of it in Betrayal? To be honest, I accepted that the cult was as much part of what Silent Hill became as anything else. I loved the fact that everything was psychological, and that everything was linked to the characters in the game. This was something I carried over into the novel. Yet, I feel one cannot disregard the fact that the cult had a large part to play with what has been happening and the evil / god they want to bring into our world. I agree with the sentiment that since Homecoming it seemed as if the Order was finally dealt with, although there may be members lurking in the shadows. Yet, the Order has always risen again through somebody. Although Betrayal looks more at Trevor and the other character’s psyche, the cult can be seen rising again in the form of something new. Like an evolution from the Order. 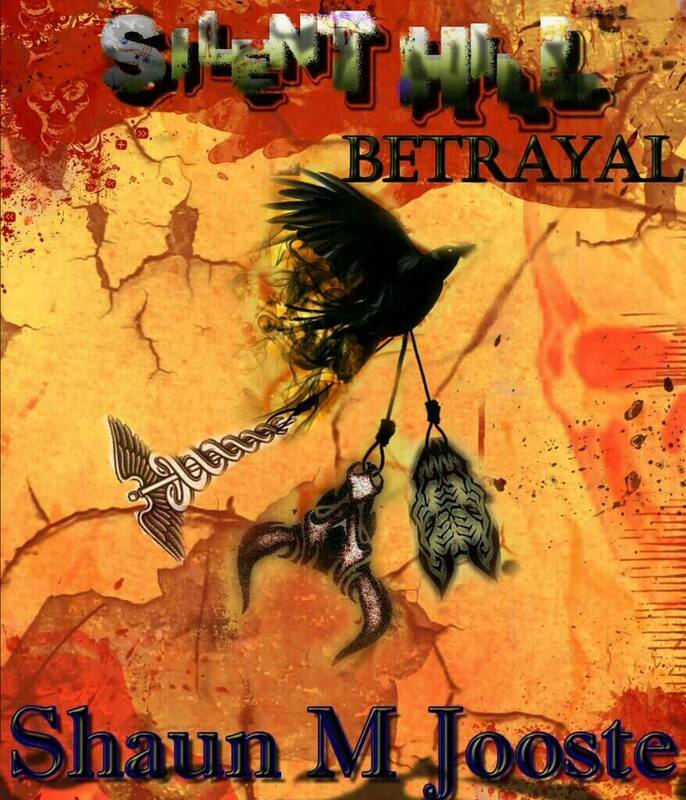 It is the overarching backstory that will be spread over the series novels, but not the main plot of Betrayal. All newer Silent Hill games were criticised for their combat mechanics. How much place combat takes in Betrayal? Is there anything resembling boss battles? There is a tremendous amount of combat in Betrayal. Trevor starts with not really knowing how to defend himself, but as his time in Silent Hill passes his experience grows. Having said that, as his experience with weapons grows so does the difficulty of the new monsters he has to face. In gaming terms, as he ‘levels up’, so do the monsters, and he is constantly having to find new ways to deal with them. There are three Acts in the novel, and each act has a Boss battle at the end. It is not just because I wanted to emulate how the games usually play, but actually a necessity for the central plot. Without those Boss battles, Trevor would never be able to proceed and discover why he is in Silent Hill in the first place. You’ve already stated that your favorite Silent Hill is The Room. But who is your favorite character, what is your favorite monster, when is your favorite moment, and which is your favorite music? My favourite character is undoubtedly Harry Mason. To me, he is the true hero of the story. I admire everything he did to save his daughter, now having children of my own. To me, his intentions were the purest of them all. In a way, Trevor’s intentions in Silent Hill are pure in of itself. There’s almost the same innocence about him at the start. My favourite monster is the Twin Victim in SH4. The only reason for this being that it gave me such a scare the first time I saw it. It might seem strange, but I love the things that make me afraid the most. Having watched and played horror for so many years, when I find something that still makes me truly terrified, I hold onto it. That being said, any monster with a baby face truly terrifies me… which is why I created my own for Betrayal. I got the chills just writing them in. My favourite Villain, just to mention, is Walter Sullivan. I really loved the way they mentioned his crimes in SH2 and then brought it forward to SH4. The way the crimes were planned and everything had to be played out in the right sequence… a true serial killer. Walter Sullivan’s story is one I will never forget. The overarching antagonist of the whole SH series I am writing, and the central antagonist of Act 2 in Betrayal, show the same criminal intelligence and careful forethought. My favourite moment is in Downpour. Since SH4 is my favourite game, I loved when I accidentally entered the Apartment room in Downpour. By far the best moment ever. I can’t really replicate this in the novel, except to add easter eggs that fans might recognise. Downpour actually has one of my favourite puzzles too, namely the Shadow Play side-quest where you have to find symbols and objects and then place them on the map. It reminded me slightly of Assassin’s Creed and the eagle vision dynamics. If I was ever involved in advising on a new SH game, I would encourage more puzzles like that. Betrayal has two puzzles that remind me of this puzzle, although different in nature. I have all the SH soundtracks, compiled onto my playlist. I generally listen to the entire playlist when I am writing, while changing to Evanescence, PVRIS or Disturbed for variety. Some Evanescence songs actually have a haunting quality to them, which adds to the atmosphere. Pyramid Head will be in the book. Will his role be similar to Silent Hill 2? Or more like Silent Hill: Homecoming? Do you think it would be possible to tell the story without him? Pyramid Head’s role in the novel will be that of a guardian, while exacting justice and vengeance. It is not the same PH that is in any of the games, but rather a new antagonist that is within that helmet. I might be able to tell the story without PH, but not without the person portraying him inside that helmet. As such, PH becomes an essential plot character rather than an obstacle Trevor needs to bypass. While trying not to give too much away, let me explain. In my view, I like to see Pyramid Head as a servant of Valtiel. I had read somewhere that those who serve Valtiel wear objects to represent the way his face is hidden too. Whether or not that is actually what is accepted, that stuck with me and I loved it. And since my series takes a much closer look at Valtiel as my favourite deity of the series, I wanted the same guardians in the novels. My future novels will have different guardians though that I am going to design myself, that serve the same function as Pyramid Head. The reason for me keeping Pyramid Head for the first novel is threefold: My personal love for PH, the link between Trevor’s wife and the person who is PH, and presenting something familiar as the guardian before transferring to my own designs. You also mentioned future Silent Hill novels, meaning you are planning to write more. Will they follow the story of Trevor? Or will they be completely different stories, each in own universe? Each novel will have its own story, characters, monsters and puzzles. Having said that, there is an overarching story that will be realised at the end of Betrayal and of which you will get more of a glimpse as the novels progress. With each novel, the overarching plot will play more and more of a role, but in essence each novel will still be its own story. Any plan for Silent Hill: Betrayal to become a game or a movie? To be more precise, do you think the story is more fitting for a game, or for a movie? Or is it totally different from both? The story is much more fitting for a game. I’ve included many puzzle elements, deliberately in such a way that it could be used in a game setting. There are no discussions yet with adapting SHB into a game, but I’ve written the novel in such a way that, should the discussion arise, they simply have to take the novel and make it a game. When you read the novel, I want you to be able to imagine sitting and playing the game rather than watching a movie. Silent Hill 2 novel was completely translated to English by a fan, and Silent Hill is still in in progress. Have you read them? If yes, what do you think about them? No I have not read them, but I am aware of them. I was writing SHB when I discovered them, but chose not to read them. I did not want any of the writing to influence mine. Would you consider translations for your book? Yes I would, especially into Japanese. Some of the creatures are morphed from Japanese mythology, and I know the Japanese people would love this. Some people in the Silent Hill community are very pessimistic toward newer Silent Hill media releases. Do you have any message for these fans? I’ve come to understand in the last few weeks why they are so pessimistic towards it. In a way, the title ‘Betrayal’ seems apt now. I can’t take away the pain Konami and others have caused, or how the series has been ruined for them. I know they want the series to be left untouched now. I’ve already warned that my novels should rather be enjoyed by those with open minds and who are excited to see a Silent Hill novel being released. I do not want to ruin it further for them. The only message I have is that the rest of us still love Silent Hill and want to see more of it, so let us enjoy it and live in our fantasy world. No one is forcing them to read the novel. There is a discussion that Betrayal sounds a lot like Silent Hill 2, with the dead wife and Pyramid Head. How do you think Betrayal is different from Silent Hill 2? Is there a common base between the two, or is it just a similar premise? Quite frankly, it is just a fragment of the premise that is similar. I was shocked by the conclusion that was jumped to. They saw ‘dead wife’ and ‘Pyramid Head’ and thought it is like SH2. Somehow the rest of the premise got lost. In another way, I guess I am glad they came to that conclusion. It is great to have the effect where the reader thinks he knows what is coming, and then you bowl them over in surprise. It is most writers’ dreams to do that. Unfortunately, in this case I think it worked against me, where people are stating that they refuse to read the novel simply because it looks like I copied SH2. Betrayal is very much different from SH2 in so many ways. Those who are adventurous enough to read the novel will be the ones worthy enough to find out how. Anything else I say in this regard will give the central plot twist away and ruin it for those waiting to read it. This was a shy question from a Silent Hill fan, but I guess everyone would be curious about it. If you were to be in Silent Hill, what would be the reason for you to be there? Would you be able to leave in peace, or join the silent spirits? Shy question? Now that’s curious… I really appreciate this question. I think I may have answered that question in my novel, but I don’t mind sharing it here. In my epic fantasy series, the Celenic Earth Chronicles, I fashioned the protagonist, Shadowolf Degron, around myself and the elemental powers I would have wanted to have in that world. Trevor stumbles upon a mausoleum with massive gates that have “S.D” on them. Only fans of my fantasy series might recognise that it indicates Shadowolf Degron. I’ve basically given myself a home in the novel, surrounded by the mist and power that flows through Silent Hill. So to answer the question, I would never want to leave. I remember you mentioned trying to get the rights to a Mortal Kombat book. Is it going to happen? What more game related projects do you have? Mortal Kombat: Warner Brothers agent has sent my request to the relevant department and waiting feedback. They were going to discuss it in a board meeting three weeks ago, but there has been no feedback yet. This MK series is planned to be a combination of the games and my own work. I want to tell the stories behind the games, what led to them and what were the results, starting way back before the first MK game. I feel there is a lot that gamers have missed out on. Resident Evil: Capcom have acknowledged that they have received my request to either adapt the games or write my own RE novel, based in my home town. I have the outline for my own novel already, all I need is the approval. If not approved, I already have another idea for a novel that could be separate from this franchise completely and would be enjoyed by RE fans. Elder Scrolls and Fallout 4: These are still on my project list, but Bethesda has turned my requests down. I was hoping to fully adapt these games into novels, but now I feel my best option would be to just create my own novels based on my own storylines completely separate from these franchises. You are now also working as a screenwriter. Do you think there will be projects inspired from Silent Hill? As a matter of fact, I am working on one right now. It is called “A darkness runs through it” and focuses on a small town that seems haunted in the same manner as Silent Hill, but lends inspiration from the movies ‘Fog’ and ‘Mist’. I am starting it off with people believing houses are haunted, until it is discovered that it is the whole town that is evil and that the separate occurrences are linked. I’m very excited about this project. Exciting, wasn’t it? While I was reading the answers the first time, it was like the first announcement of a new Silent Hill game for me. Except this is a book, and likely to become a series. I thank again Mr. Jooste for being so kind to accept my request, and taking his time to answer all the questions. Don’t forget to get the book when it comes out on October!